Stampin'Up has some new Sale-a-bration items being released February 15. One of the new items is a new bundle called Painted Seasons. 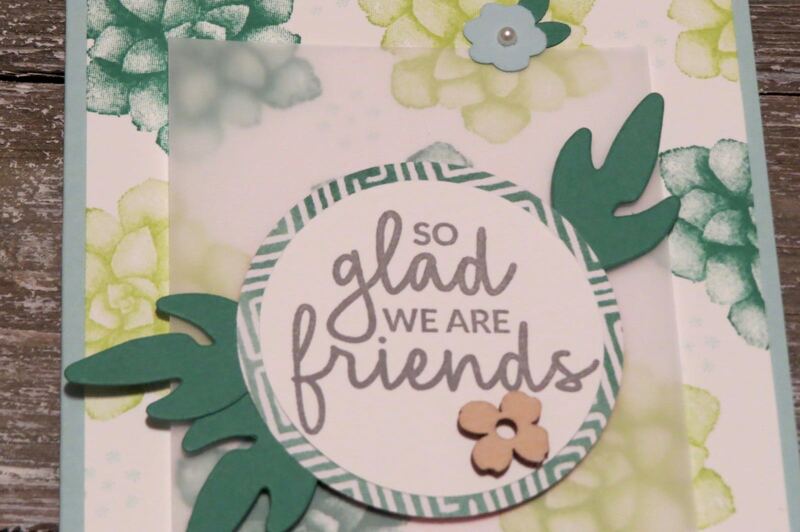 It includes a stamp set and coordinating designer series paper and is Free with a $120.00 purchase. Framelits for this set will be available on March 1. 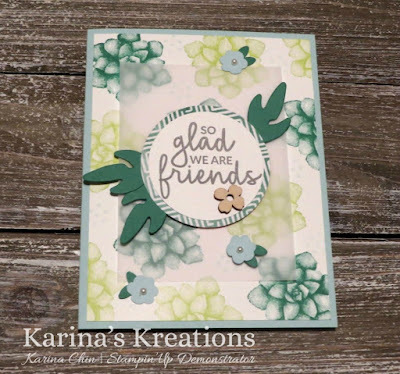 I made this beautiful card with this set which is inspired from a card in the new Sale-a-bration catlaog. To order supplies for this card, please click on a picture below or send me an email and I'll place your order on February 15th.